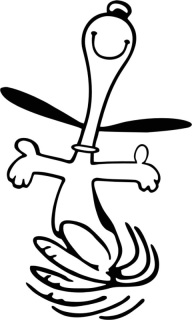 Ol' Snoopy doing the happy dance. Friends, Ol' Backwoods just received some extremely good personal news. No, I cain't tell you what it is. One day, maybe. Just thank the LORD; He knows what's going on. Just wanted to tell y'all that I give thanks to the LORD, God of Jacob, Abraham, and LORD Jesus, for this relief, that was so long asked for. Rejoice with Ol' Backwoods and his family today. Thankfulness will carry us through, brothers.